Miguel Garcia had already seen time in two previous major league seasons, amassing all of three big league outings. In this 1989 call up, Garcia told The Pittsburgh Press he was looking for a longer stay. "Like everyone else, I like to be here," Garcia told The Press, "and I know if I keep doing my job I will be here all year." Garcia did get a longer stay. This season, he got into 11 games. They were the final 11 games of his major league career. Garcia's career began in 1985, signed by the Angels as a free agent out of his native Venezuela. He started at single-A Quad City. In 29 outings, he had a 2.89 ERA. 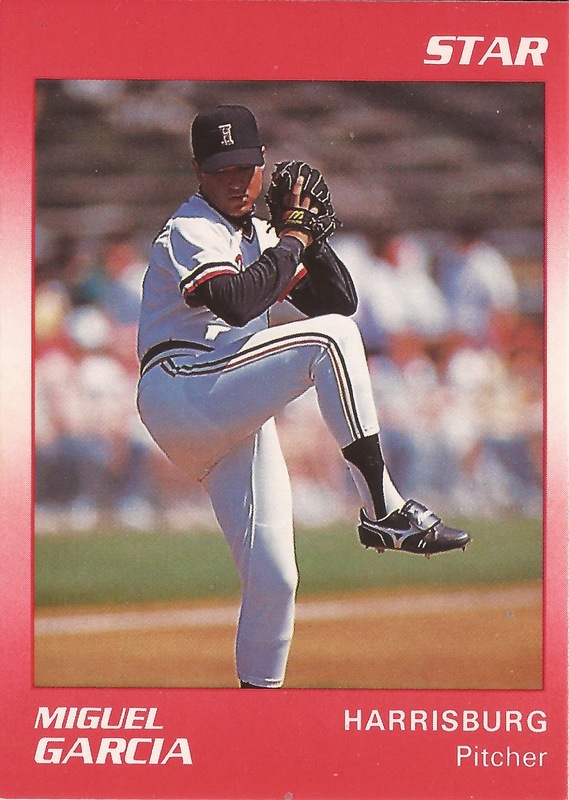 In 1986, at single-A Palm Springs, Garcia posted an even-better 1.61 ERA. For 1987, he made AA Midland. He went 10-6 there in 50 relief outings, with a 2.59 ERA. He also debuted with California in April. In that major league debut, Garcia went 1.2 innings and gave up three runs. Early that September, Garcia went to the Pirates to complete an earlier trade for Johnny Ray. He then got into another major league game, recording two outs without giving up a run. For 1988, Garcia moved to AAA Buffalo. He also got another game in Pittsburgh. In two innings, he gave up one earned. Then came his 11-outing 1989 season. In all for the Pirates, Garcia got into 16 innings and gave up 15 earned runs. He started with a five-inning performance, giving up one earned. For 1990, it was back to the minors for Garcia, and back to AA. He got nine outings at AAA Buffalo and 21 at Harrisburg. At Harrisburg, Garcia also turned starter, starting 20 of those games. Between the two levels, his ERA came in at 4.09. He's credited with returning years later for five outings with the Expos at AAA Ottawa in 1995, ending his career.